Feb 8 (Khaleej Times): Sri Lanka – a Tea Island, is known for its diverse cultures and scenic beauty. While blessed with fortunes of nature to give a different array of climates, tea was first introduced to Sri Lanka as a replacement crop for coffee, during the 19th Century by a Scottish planter, James Taylor. An island with an area of 65,525 square kilometres, its heritage of tea culture is one and a half centuries old, and it is today the world’s fourth-largest tea producer. Its annual tea production is approximately 300 million kilogrammes, accounting for about five per cent of world tea production. Sri Lanka exports almost all its tea, making it the world’s third largest exporter of this commodity. The annual tea export volume is over 280 million kilogrammes, accounting for 15 per cent of the global tea export market. 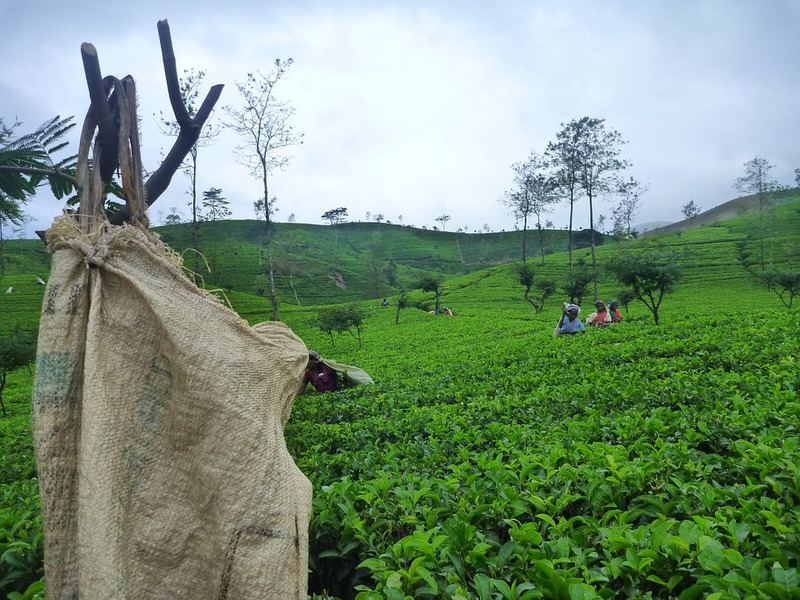 Sri Lanka’s diverse climate also contributes to producing, diverse varieties of teas. Seven agro-climatic regions produce teas that are unique to each region, making Sri Lanka a tea connoisseur’s paradise. The diversity in Sri Lanka’s orthodox teas has been the power and strength of the tea industry in Sri Lanka. Nuwara Eliya, Uva, Dimbula, Uda Pussellawa, Kandy, Ruhuna and Sabaragamuwa are the island’s prime tea growing regions with diverse climates. This has resulted in an assortment of the finest teas with different flavour, aroma, strength and colour, indigenous to each agro-climatic district that is not found anywhere else in the world. Over the years, the country has earned a reputation as a producer of high-quality teas, synonymous with quality and taste. Ceylon Tea and the seven agro-climatic regional teas have been registered as geographical indications to prevent misuse of these appellations. Ceylon Tea is grown in pristine environments in a salubrious climate. This is why it is the cleanest tea in the world, grown according to stringent environmental practices and conforming to international conventions and agreements. It is the only tea awarded “Ozone – Friendly status” by the Montreal Protocol. It is no wonder then, that nurtured and nourished by nature, pure Ceylon Tea brings you the freshness and rejuvenating spirit of its natural habitat. Something you can experience every time you drink it. Sri Lanka exports more value-added tea in the form of tea packets and tea bags than any other tea-producing country. Value-added tea exports now account for almost 38 per cent of the total export volume. Ceylon tea reaches approximately 150 countries today. It would also be pertinent to point out here that at present Middle Eastern countries and the Gulf region absorbs over 54 per cent of tea exported from Sri Lanka. Therefore, this region continues as Sri Lanka’s most important market. The Sri Lanka Tea Board as the apex government body, oversees the development and regulation of the tea industry in Sri Lanka and promotes Sri Lanka Tea (Ceylon Tea) globally. As the custodian of pure Ceylon Tea from leaf to cup, ?it performs a wide variety of functions, such as offering advice and assistance to overseas buyers and tea brand owners, tea exporters, traders, manufacturers and cultivators. In addition, it oversees the cultivation of new areas of tea, the replanting and rehabilitation of old tea gardens, and the establishment of tea factories and their operation. It has taken many steps to ensure that all teas produced and exported from the island adhere to the minimum quality standards of ISO 3720. Pure Ceylon tea retail-packed in Sri Lanka carries the lion logo, a symbol of quality, which is a trademark of the Sri Lanka Tea Board. The Ceylon Tea Lion Logo that appears on Ceylon tea packs denotes not only the country of origin but also the quality of the tea. Ceylon Tea has been recognised by the International Standards Organisation as the cleanest tea in the world in terms of pesticide residues. Currently, many Sri Lankan Tea Manufacturers and exporters have obtained ISO, HACCP and other international certifications and are thus ahead of the other tea producing countries. Fair Trade, Ethical Tea Partnership and Good Manufacturing Practices are among the other quality systems followed by the Sri Lanka tea trade. The commitment of all stakeholders in the industry has helped Sri Lanka to sustain its leadership in the world orthodox tea market and also the value-added tea export sector.